Make sure those who drink your coffee know where it comes from. Help them feel good about drinking it. 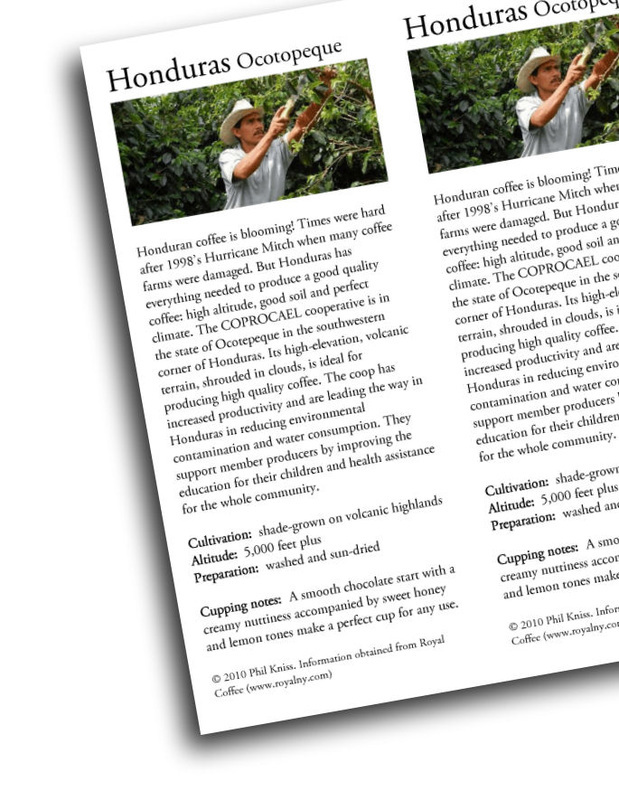 Download these flyers (three per page) and print them out for your own information, or to include with the roasted coffee you give as gifts or sell to customers.